Home » EHS and MCS – Are They Real Diseases? Public health experts are asking the World Health Organization to acknowledge electrohypersensitivity (EHS) and multiple chemical sensitivity (MCS) as real diseases. Are multiple chemical sensitivity (MCS) and electrohypersensitivity (EHS) real conditions? A group of leading scientists and public health experts contends these conditions are not only real; they are escalating rapidly. The 18-minute video below features some of the speakers from the Fifth Paris Appeal Congress in Brussels, all expressing an urgency regarding the growing number of individuals suffering from one or both of these syndromes. What is the Connection between EHS and MCS? Noted epidemiologist and toxicologist Dr. Devra Davis discussed the link between multiple chemical sensitivity and electrohypersensitivity in her talk from the Congress titled A Discussion of Synergies Between EMF and Chemical Exposures. 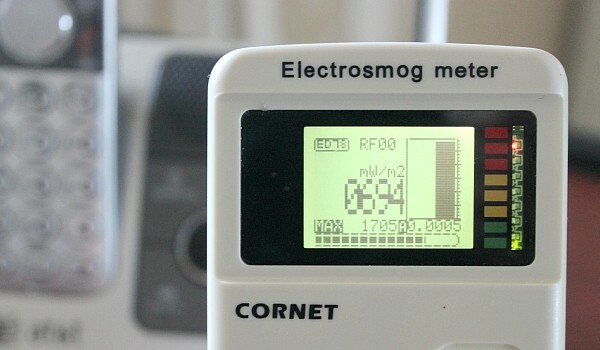 According to Dr. Davis, exposure to electromagnetic fields alters the body’s calcium homeostasis by weakening cell membranes. We have good reason to believe that altered homeostasis and in fact calcium transport itself is the most critical thing that is involved with the mechanism of damage. . . plasma membrane weakening takes the negatively charged bilayer of cell membranes and potentially allows other toxic chemicals to enter the cell. According to Davis, when the cell membranes are weakened, there is a higher uptake of chemicals. The declaration calls upon national and international bodies and institutions and particularly the WHO, for taking urgently their responsibility for recognizing electrohypersensitivity and multiple chemical sensitivity as real diseases, including them in the International Classification of Diseases. This International Declaration also asks national and international institutions to adopt simple precautionary measures of prevention, to inform populations and requires the appointment of real independent expert groups to evaluate these sanitary risks in total scientific objectivity, which is not the case today. View the statement in its entirety here. 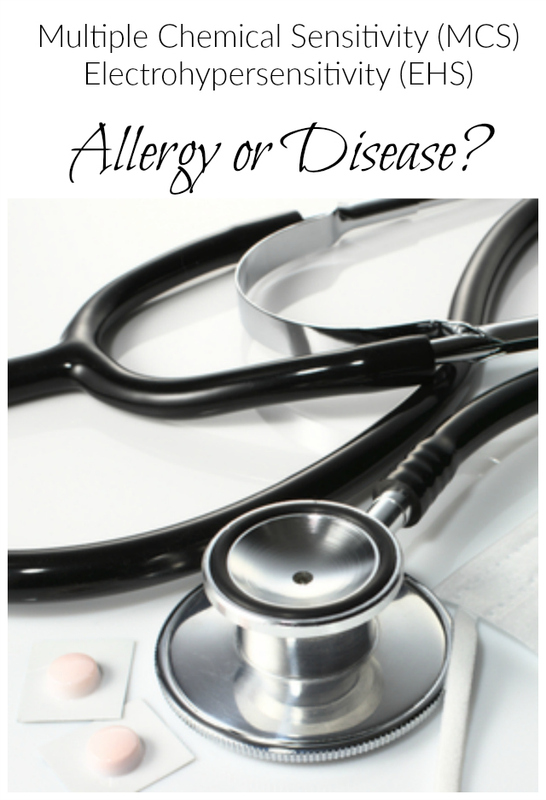 The fact that the media uses the word “allergy” to describe EHS illustrates the need for disease classification. These environmental insults are life-altering as well as life-threatening. I developed MCS soon after moving out of our toxic home. (Read our story here.) While the condition has significantly improved in the last seven years, I wish I had understood the connection between MCS and EHS earlier. I would have reduced my use of technology and created a sleep sanctuary sooner. I believe this International Scientific Declaration on Electrohypersensitivity and Multiple Chemical Sensitivity will prove to be pivotal as the world slowly wakes up this vital connection between environment and health. Multiple Chemical Sensitivity is so real! I never would’ve believed it, either if I hadn’t read a book by Sherry A. Rogers, “Detox or Die.” The title sounds alarmist, I know, but the detox protocol literally gave me my health back. She advocates using glutathione, buffered vitamin C and several other supplements in a drink when you’ve been exposed to chemicals. They help sort of “sweep” out the chemical debris that your body might have a hard time eliminating on its own. I can’t stress enough what a difference it makes after I’ve had a chemical exposure to go through the protocol. Also, after she made the connection between memory foam mattresses and particle board furniture and formaldehyde (one of my chemical allergies), I got rid of all my bedroom furniture. People thought I was crazy (even the family) but when I woke up after my first night (sleeping on an air mattress on the floor) and could BREATHE… they quickly believed. I no longer need an inhaler and my MCS has simmered down significantly. So glad to hear you have found relief, Sarah. I remember getting a used copy of Sherry Rogers book and reacting to the mold on the book, because it was used. 🙂 The sleep sanctuary concept is huge. Thanks for sharing your experience. I have no doubt it will help others who read this.